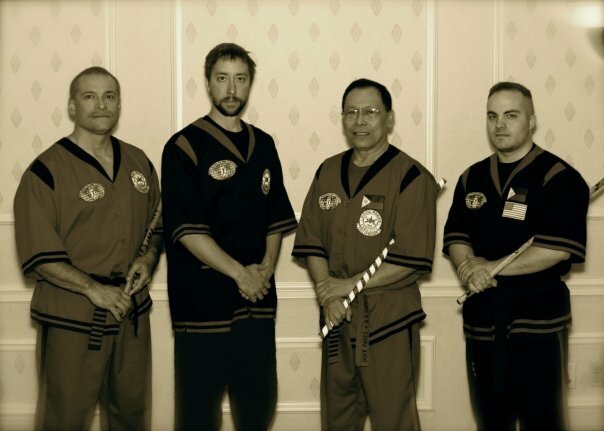 Thomas Sipin started training in the Filipino Martial Arts when he was 3 1/2 years old, with his father Isidro Sipin. After earning his Black Belt in Traditional Taekwondo he started managing several schools in 1972. He left those schools in the mid 1970's, starting Four Winds Martial Arts with the idea of combining the Filipino weapons with TKD. Gathering several other Instructors that had been managing or teaching in other schools and systems- including Black Belts in Judo, Kung Fu, Karate and students experienced in Collegiate Wrestling and Boxing, they started cross-training together, long before "mixed martial arts" was acceptable. Starting side-jobs in security, he became a certified Police Officer in 1979, a DT Instructor in 1980, and continued to become an Instructor in everything from Firearms, Edged and Impact Weapons, Riot Control, Cops on Bikes, Physical Fitness and much more. His experience as a LEO includes Patrol on foot, on a Bike, Boat, in a squad, SWAT, Rangemaster, Court Laison and more. His Security experience includes everything from being a "Bouncer" to Security Supervisor of the Rock Stage for the largest music festival in the country for 5 years, Personal Protection, Investigative, Surveillance, and of course Training. 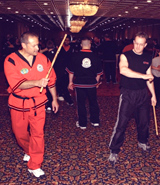 In the early 1980's, Mr. Sipin started training under Dionisio Canete, adopting the Doce Pares Eskrima curriculum. In 2003 GM Canete stated in an interview in "Filipino Martial Arts" magazine re: Mr Sipin, "His students are one of the best groups in the whole world in terms of their skill, discipline and knowledge. A founding member of WEKAF, he is the current International President of the Global Stick and Blade Alliance. He currently holds a 9th degree black belt in the Filipino system of Doce Pares Eskrima. Mr. Sipin is one of the country’s leading proponents of this system. 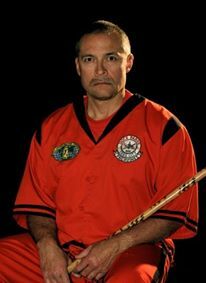 His experience and training in the LE / Security field, the Filipino Martial Arts and Personal Protection have provided the basis for a philosophy and system that Mr. Sipin has taught to Instructors, Civilians, Military, Law Enforcement, Security Officers in the U.S., Europe and Asia. This will be Mr.Sipin's 3rd appearance as anInstructor in the Illinois Katipunan. ​ and Law Enforcement Officers in FMA, Personal Protection, and Martial Arts. All active in promoting Doce Pares Escrima. GM Tom Sipin is active in teaching & promoting FMA, Personal Protection, & LEO Training.